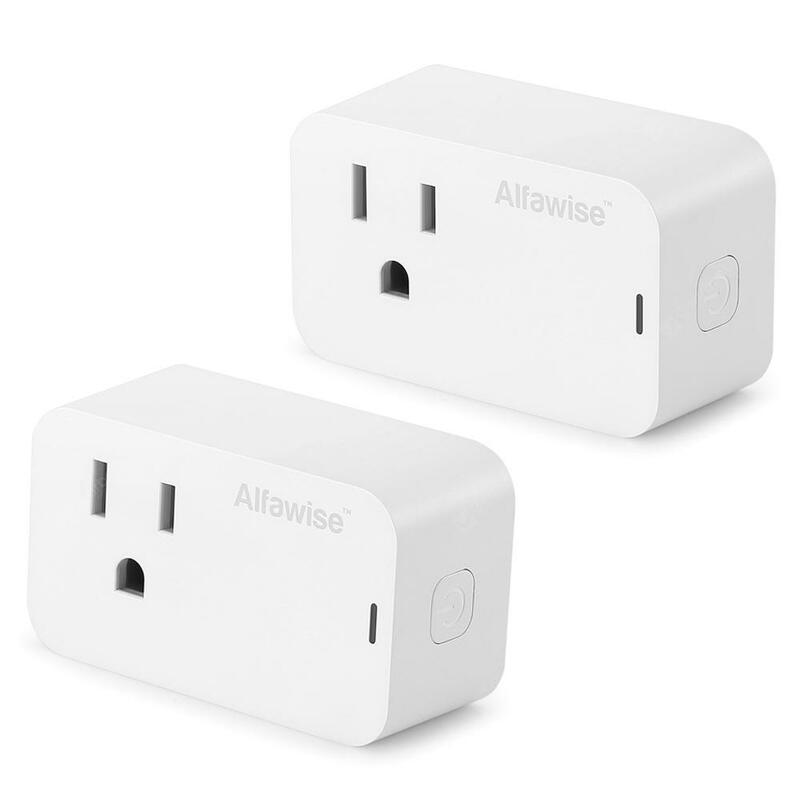 Alfawise Smart Plug 2PCS US Standard Works with Alexa Google Home - WHITE w cenie $12.99 | Chińskie kupony rabatowe, zniżki i okazje! Więcej informacji o produkcie: Plug your normal household appliances to Alfawise PE1002T WiFi Smart Plug US Standard, it will make your life smarter! Smart Life App remote control ensures that you and your families can check device status, turn on / off devices, set worry-free schedules with smart phones wherever you / they are. Amazon Echo / Google Home voice control releases your hands. The timing schedule function makes your house on schedule, the lamp and coffee machine will be turned on automatically in the morning, and the water heater will be turn-off when nobody is at home, which saves energy and costs.